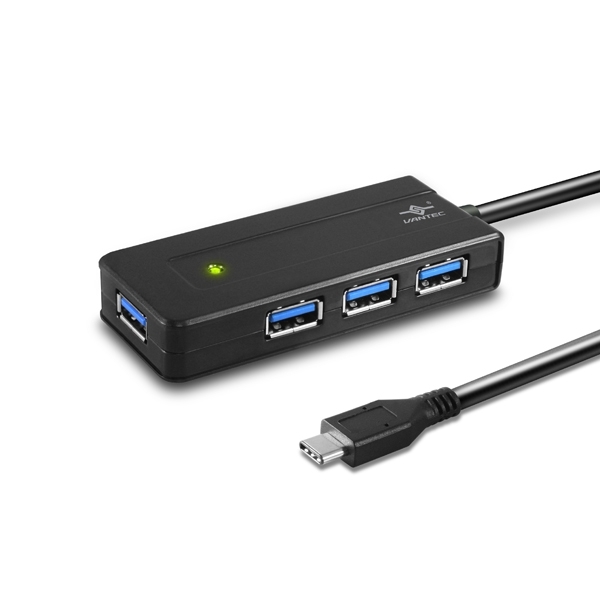 The Vantec 4-Port USB 3.1 Gen 1 5Gbps Type C Bus-Powered Travel Hub makes a perfect companion with laptop using USB Type C interface. 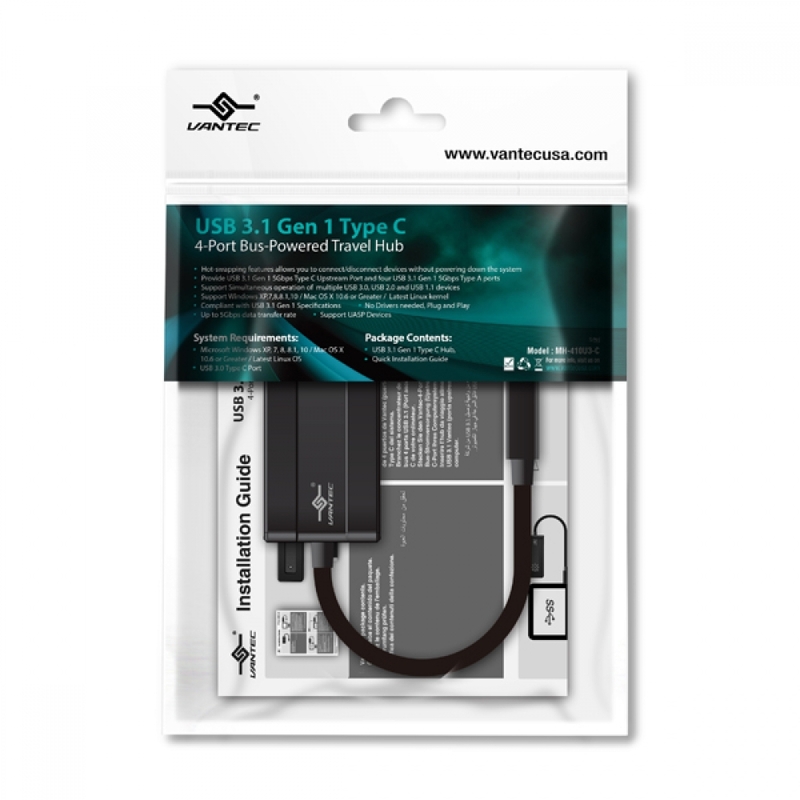 It connects with the latest USB Type C and offers compatibility connection to all your USB 3.1 Gen 1, 5Gbps Type A devices and opens up the opportunity to connect multiple devices simultaneously while traveling with your laptop. This Hub is simple and light weight to go with your portable devices. 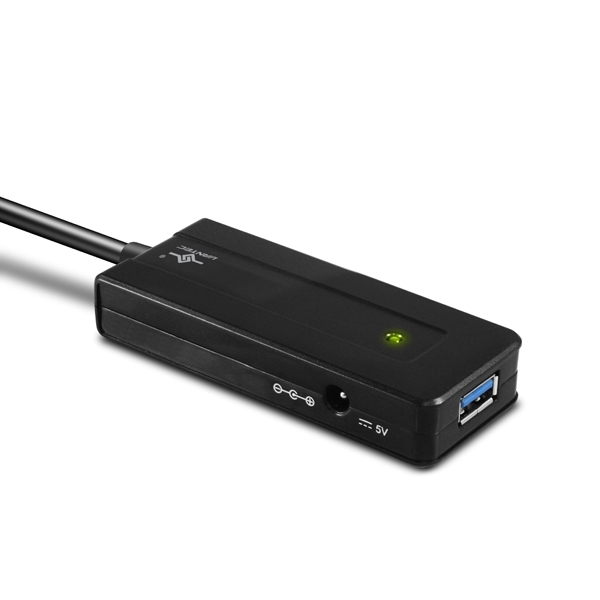 With USAP support and Plug and Play design, this Hub will simplify and speed up any file transfer anywhere you go.